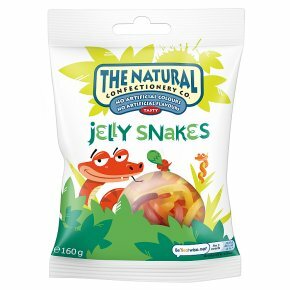 Delicious fruit flavoured jellies in fun snake shapes. No artificial colours and no artificial flavours. This 160g bag is perfect for sharing with friends and family.